Should you be interested in placing a sports bet on any up and coming sporting fixture, then never be under the impression that the only kinds of wagers you can place are on the outcome of the sporting event, there are a slew of different types of sports betting wagers that can be placed online or on your mobile device, and below you will find an in-depth guide on all of the most commonly placed sports bet wagers. Single Bet: This is the most popular type of wager, all you need to do is to pick one particular outcome to any sporting event, whether it is a football team or ice hockey team or even a horse or greyhound to win any event and if your selection wins then your single wager bet is a successful one. Double Bet: To place a double bet you need to pick two different selections in two separate sporting events and if they both win the winnings from the first one gets placed on the second one and your winnings are worked out this way. Trixie Bet: You need to pick three different selections to place a Trixie bet, and there are four bets in this kind of wager, 3 double wagers and one treble, the more selections that win the greater your returns will be. Patent Bet: A Patent bet will see you picking three different selections and they will be permed together in seven different wagers, three double bets, one treble plus three single wagers are what these Patent bets are made up of. Fourfold Accumulator Bet: You will have to pick four different selections to place a fourfold Accumulator bet, and all of them have to win their respective sporting events for you to get a winning payout, these winnings from each leg of these bets is placed onto the next selection. Yankee Bet: When you place a Yankee bet you are tasked with picking four selections, and they will then be all permed together in 6 doubles bets, 4 treble bets and one fourfold accumulator bet. Lucky 15 Bet: The only different between this bet and the Yankee bet above is that there is an addition four single bets found on this wager, which means 15 bets in total need to be paid for when you place such a wager. Fivefold Accumulator Bet: You will have to pick five different selections to place a fivefold Accumulator bet, and all of them have to win their respective sporting events for you to get a winning payout, these winnings from each leg of these bets is placed onto the next selection. Super Yankee Bet: There are a total of 26 unique bets that make up a Super Yankee bet and as such you need to pick five selections which are then all permed together in 10 double bets, 10 treble bets, 5 fourfold bets and one fivefold bets. Lucky 31 Bet: If you want to place a Super Yankee bet but also have five single wagers included in that wager then you need to place a Lucky 31 bet which is 31 bets in total made up of all those wagers found on the Super Yankee plus five additional single wagers. Sixfold Accumulator Bet: This type of wagers sees you picking six selections in six different sporting events and if they all win then you get a winning payout; the winning payout from each selection gets placed onto the next selection to determine your final winning payout. Heinz Bet: To place A Heinz Bet simply pick six sporting events and one selection from each of them and they will be covered in 57 individual bets made up of 15 double bets, 20 treble bets, 15 fourfold accumulator bets, 6 fivefold accumulators plus one sixfold accumulator. Sevenfold Accumulator Bet: You will have to pick a total of seven completely different selections to place a sevenfold Accumulator bet, and all of them have to win their respective sporting events for you to get a winning payout, these winnings from each leg of these bets is placed onto the next selection. Lucky 63 Bet: This bet is simply a Heinz type of wager but there are an additional six singles included and a total of 63 wagers need to be paid for when placing such a bet. Eightfold Accumulator Bet: You will have to pick eight different selections to place a eightfold Accumulator bet, and all of them have to win their respective sporting events for you to get a winning payout, these winnings from each leg of these bets is placed onto the next selection. Goliath Bet: A huge 247 bets make up a Goliath bet and these are 28 double bets, 56 treble bets, 70 fourfold accumulator bets, 56 fivefold accumulator bets, 28 sixfold accumulator bets, 8 sevenfold accumulator bets and 1 eightfold accumulator bet. Combination Forecast Bet: This bet sees you picking two different selections that must finish first and second in any event for yout to be awarded a winning payout. 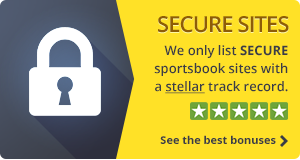 Tricast Bet: You will be picking three selections running in the same sporting event and to get a winning payout they must finish in first, second and third in the order you wrote them down on the betting slip. Combination Tricast Bet: By perming together your three selections in a Tricast Bet and placing 6 bets in total then you will be covering them to finish first, second and third in any order on a Tricast Bet, if all three of your selections finish in the top three positions then you are a winner.